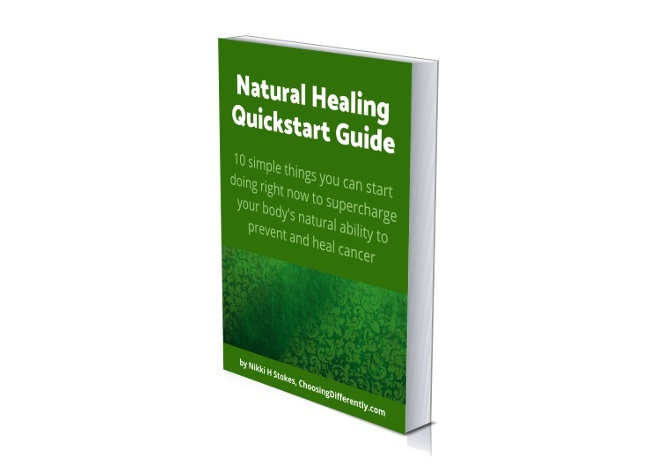 Jumpstart your body's natural healing powers! Discover 10 simple things you can do right now to activate your body's natural ability to prevent and heal cancer. Put these ten simple actions into practice today and get your body working more powerfully to heal itself. There are so many things that you can do to support your body's natural healing abilities, that it can get a little overwhelming at times. Use my quickstart guide as a simple place to start, with easy, practical steps you can start taking right away, to get you headed in the right direction. So, are you ready to get on with healing?